Kayak to vehicle contact eliminated with adjustable roller position. 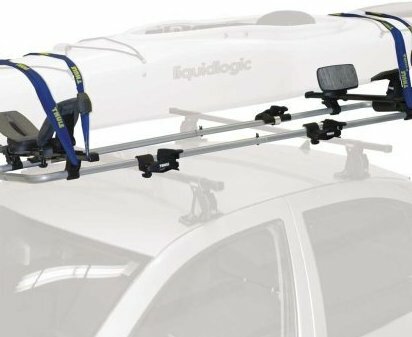 Ideal kayak transport location on any vehicle with easy to adjust sliding base system. Complete package includes saddles, roller, base tubes, and all necesayr straps and tie downs for one kayak. Fits Thule square, Aero, Yakima round bars and most factory installed cross bars.